This webinar demonstrates the power of GeoTeric's new interpretation technology when revealing the internal structure of a submarine channel system. Frequency Decomposition and RGB Color Blending. Edge attributes and CMY Blending. 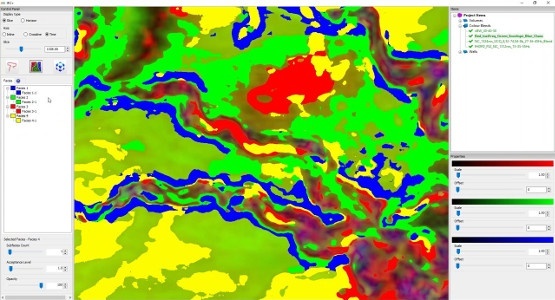 Blending of independent Seismic Attributes. A brief recap of Adaptive Horizon Interpretation. Iso-proportional slicing and horizon pack. GeoTeric can transform your work, for smoother and more accurate interpretation and, ultimately, far better decision-making. Don’t just take our word for it – see the impressive capabilities for yourself.